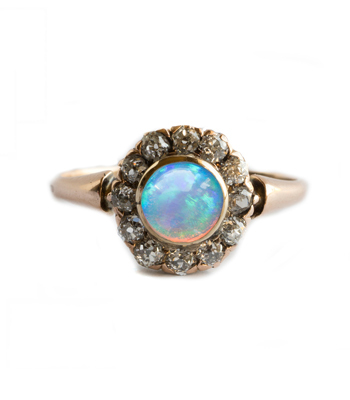 The sweetest antique opal ring we ever did see! 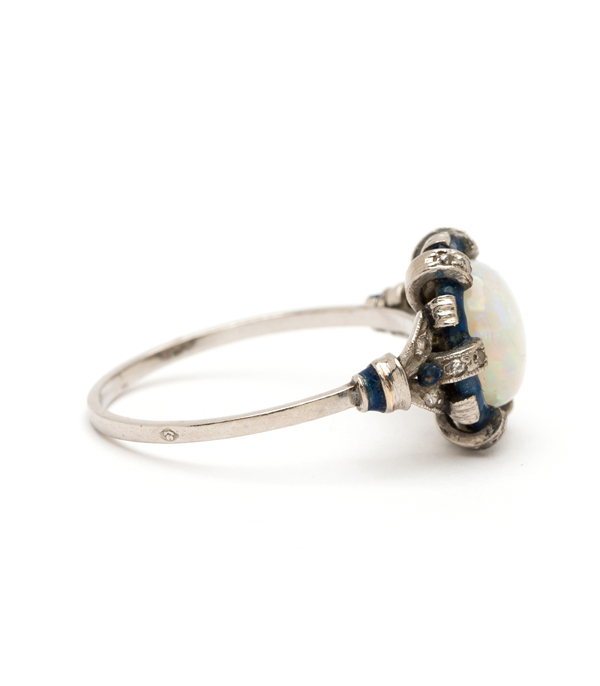 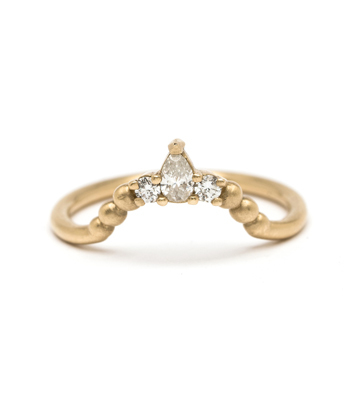 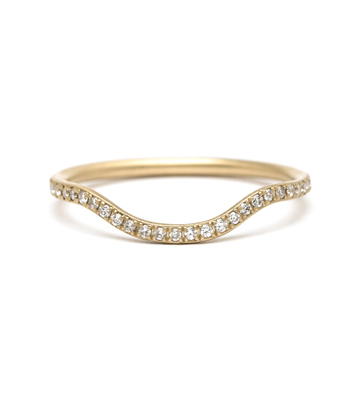 This petite Platinum vintage ring is small in scale, but large in it’s volume of details. 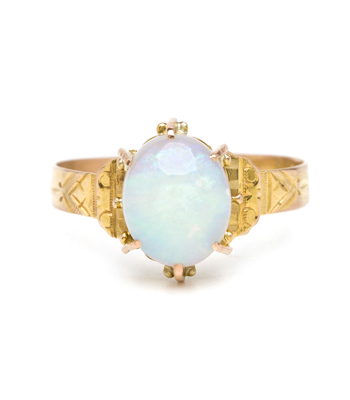 A white opal center is framed with a light blue enamel accents and highlighted with the tiniest of rose-cut diamond accents. 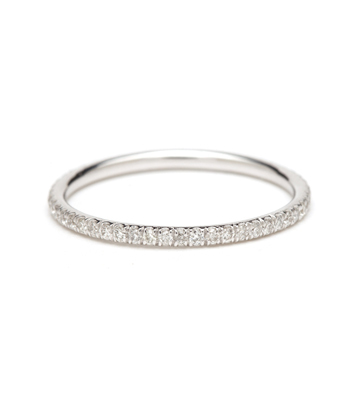 A gorgeous complement to your jeans and a white tee ensemble, that adds a touch of vintage chic to your every day. 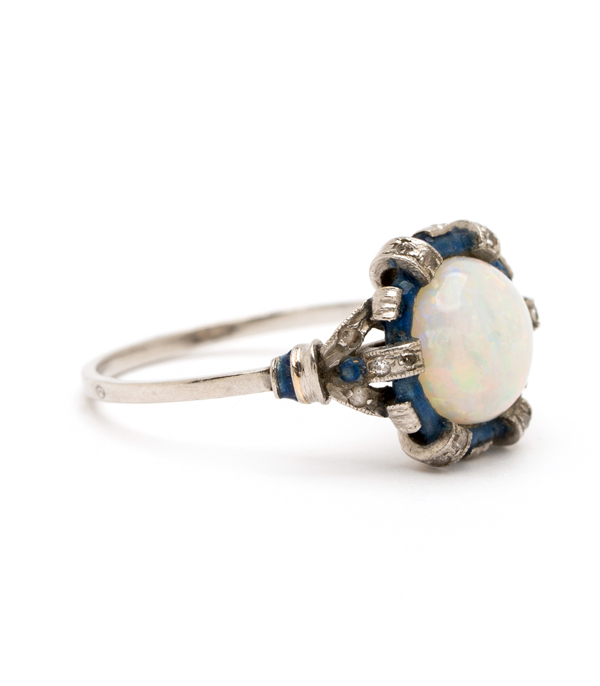 Original Vintage ring, circa 1915. 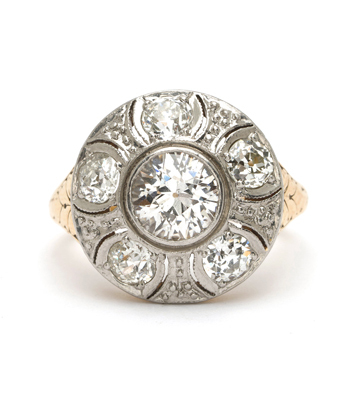 Unknown flower hallmark. 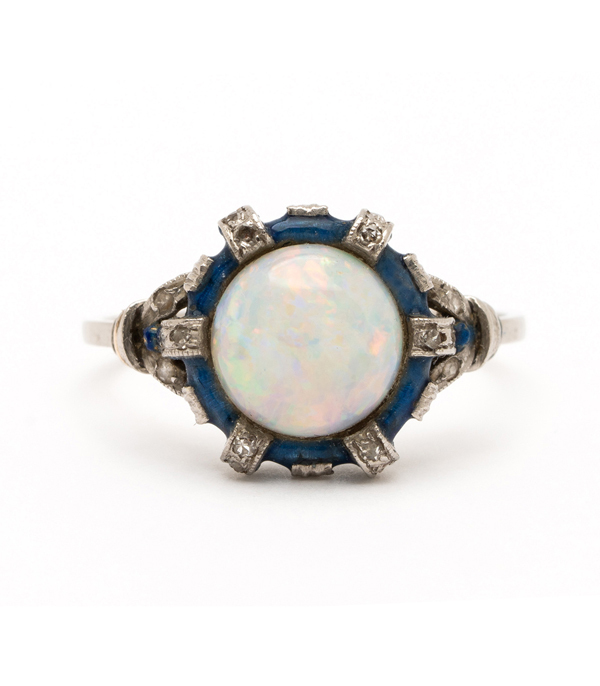 Categories: Edwardian Jewelry, Vintage Rings.